Three major skins of Merge Gaming Network (Black Chip Poker, RPM Poker & Hero Poker) have withdrawn from the Poker Maximus 3 tournament series. The three skins pulled out of the tournament series at the eleventh hour which is sparking a mini panic among players about the underlining implications of this move. This is one of the biggest tournament series on Merge Gaming Network and is seen by players as a must play poker series due to the prize pools of $1,000,000 guaranteed. Merge Gaming also heavily advertised the series among its skins. The series started on Thursday and runs till December 9th with a total of 3 events each day. The buy-in starts at $11.00 and go all the way up to $530 which is the “High Roller Main Event”. 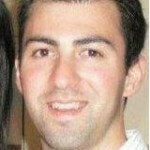 As of this article no representatives have spoken on behalf of Black Chip Poker or Hero Poker. 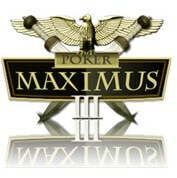 When players login on those sites there is no mention of the Poker Maximus 3 events. We went to each individual poker sites websites and looked around and could not find a single mention of Poker Maximus 3.